Just when you thought it was safe to revisit the subject of Antarctica, or perhaps, even thought it was the one safe place on Earth to vacation – perhaps lounge on the shore and throw in your fishing line, or have a nice leisurely ski vacation, or maybe just to sit by the fire, enjoying a good book and a brandy and cigar – the place seems to defy sense. It refuses to go away or walk quietly off the stage. Just when you think the curtain has gone down on all the high strangeness there, strangeness struts onstage again. But this one may be even stranger than strange. Yes, that’s right, stranger than the strangeness of people associated with the place. Stranger than Hermann Goering, Patriarch Kiril III of Moscow, John Kerry. Even stranger than Apollo astronaut Buz Aldrin. 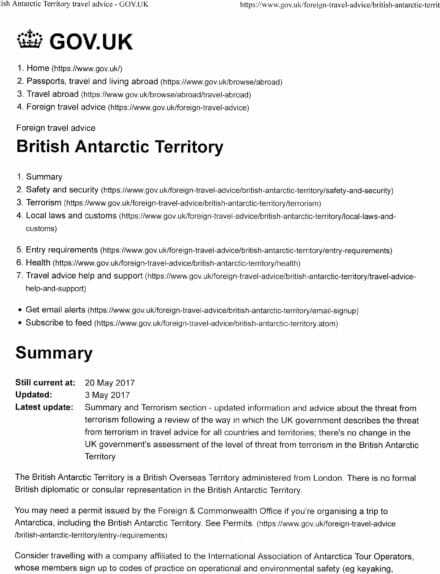 Now, a simple search through the website reveals what is just routine boilerplate: How to get married in Antarctica, and so on. Easily programmed by any competent programmer tasked with the monstrous job of programming a government website: “How to get married in [fill in the blank here]; contact the [Fill in the appropriate bureaucracy here].” Hence, when we come to the lines advising “Take out comprehensive travel and medical insurance (the appropriate UK.gov link follows), specifying Antarctica, before you travel,” one can be fairly certain that the entire sentence was simple standard programmed boilerplate, and that “Antarctica” is the variable here. And then follows yet another helpful link to aid you in planning your fun-filled family vacation to New Brighton-on-the-ice. Did You Read: …Uhm… British Scientists are looking for WHAT in Antarctica!?!?!? Now, 98% of me thinks the line is just standard, pre-programmed boilerplate, the usual bland “we’re your government and we’re here to pretend we’re being helpful” sort of thing. After all, access to Antarctica is strictly controlled; in fact, it’s the one place on earth where borders are strictly controlled, and so far, the controllers don’t seem too interested in setting up cells of ISIS, Al Qaeda, Daesh, the Irish Republican Army, Irgun, Bakhuninites, or whatever its current “approved-name-of-the-month” happens to be. It’s that remaining 2% that bothers me (as you probably guessed), for suppose that the “travel alert” is not standard boiler plate. High octane speculation? To be sure. But suppose, for a moment, it’s not boiler plate. That would mean, in turn, that the door has been cracked, just a bit, to reveal that the southern polar continent is a place of violence, not global warming, not increasing ozone holes, not melting icecaps, not oddly and unusually warm weather, but a place of human violence. A place where some sort of war is being waged. A place where the stakes are high enough that terrorism is a viable strategy.